Fine Art Photograph of the Boston Tea Party Museum. Image was photographed in the late evening. 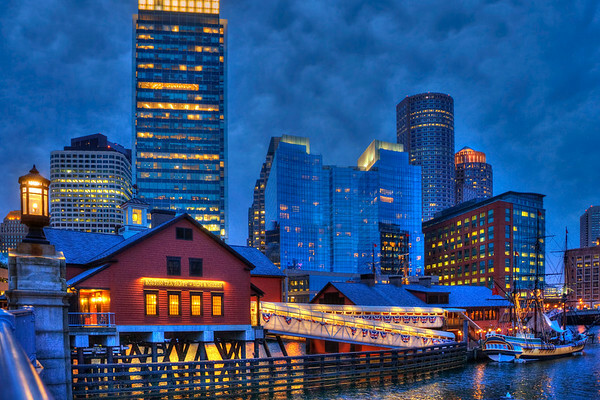 Small marshmallow-like clouds cover the sky as the the buildings of the Financial District tower the Boston Skyline and over the brightly lit museum and ramp decorated in patriotic banners in celebration of the upcoming Fourth of July Holiday.